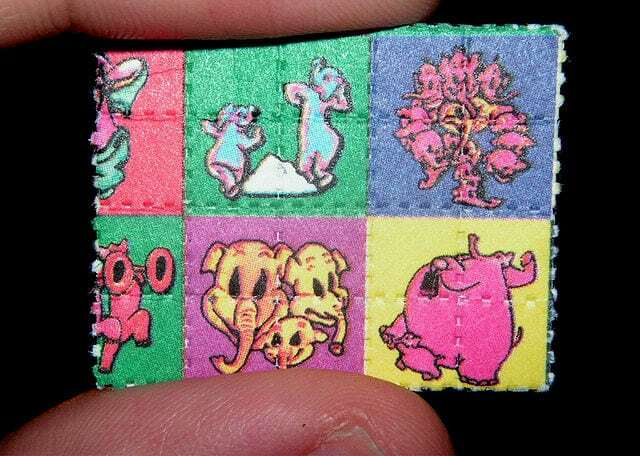 Drugs such as LSD and ecstasy really are mind bending, according to new research. Experiments on rats and flies show they actually rewire the brain – suggesting the same happens in humans. They make neurons branch out and make new connections with each other, according to research. Scientists say the discovery could lead to the development of better treatments for depression, addiction and post-traumatic stress disorder (PTSD). These structural changes suggest pills based on psychedelics could repair the circuits that malfunction in conditions that affect mood and anxiety. Senior author Professor David Olson, a chemist at the University of California, Davis, said: “People have long assumed that psychedelics are capable of altering neuronal structure. The findings, published in the journal Cell Reports, support the theory psychedelic drugs could combat a range of neurological disorders. Depression is believed to stem from an imbalance in brain chemicals. But recent studies have suggested it manifests itself in structural changes – damaging grey matter and changing circuitry. This doesn’t mean neurons die off. But sections that bridge out, called neurites, retract. These minute fragments, known as axons and dendrites, facilitate communication at synapses – connections between brain cells. These brain alterations also appear in cases of anxiety, addiction and PTSD. Prof Olson and colleagues tested drugs from a range of psychedelic classes including amphetamines, tryptamines and ergolines and got the same results. In tests on neurons grown in a dish and real animals they triggered functional and structural changes in cortical neurons like those produced by the party drug ketamine, used as a horse tranquilliser. Rats treated with a single dose of DMT – a psychedelic compound found in the Amazonian herbal tea known as ayahuasca – showed an increase in the number of dendritic spines, similar to that seen with ketamine treatment. DMT itself is very short-lived in the rat. Most of the drug is eliminated within an hour. But the ‘rewiring’ effects on the brain could be seen 24 hours later, demonstrating that these effects last for some time. The psychedelics made both dendritic spines and synapses more dense. Some, including LSD, were even more potent and effective than ketamine in boosting the growth of neurites. Although the researchers did not do any human tests, the psychedilcs had similar effects across species, including rats and flies – vertebrates and invertebrates, respectively. This indicates the biological mechanisms that respond to psychedelics have remained the same across eons of evolution – meaning they will probably cause the same phenomenon of ‘neural plasticity’, or brain growth, in humans. Ketamine’s neural plasticity effects have previously been shown to be dependent on a protein called BDNF (brain-derived neurotrophic factor). When the researchers blocked it, psychedelics lost their ability to promote neurite growth. BDNF binds to a receptor, called TrkB, that is part of a signaling pathway that includes mTOR, a chemical known to play a key role in the production of proteins necessary for the formation of new synapses. When the researchers inhibited mTOR, it also completely blocked the psychedelics’ ability to promote neurite growth. Prof Olson thinks identifying the signaling pathways at play in psychedelic-induced brain changes will help future research identify compounds that could be developed into depression treatments. Although most psychedelics aren’t considered to be addictive in the same way that cocaine is, they do produce hallucinations. His group have also previously shown DMT enabled rats to overcome a “fear response” to the memory of a mild electric shock – a model of PTSD. Interestingly, ketamine produces the same effect. Recent clinical trials have shown, like ketamine, ayahuasca which contains DMT might have fast acting effects in people with recurrent depression. Prof Olson’s team has already proposed the term ‘psychoplastogen’ to describe this new class of “plasticity-promoting” compounds. He added: “Ketamine is no longer our only option.